About the year 1990 I ran into a magazine which was given to me by a friend from the Cuban embassy in Lagos; it always had these series of very exciting anecdotes in it. In this series of humorous anecdotes was one that has made a lasting impression on me. It was a short humorous story bothering on the question it asked, “What is the difference between Cane Sugar and Sugarcane?” And there is a big difference! 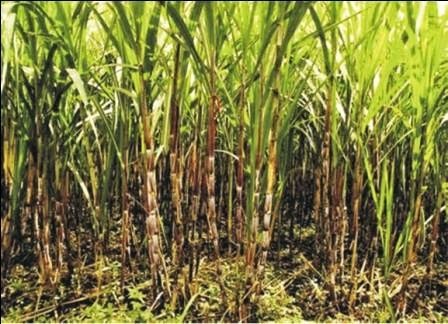 My guess is that with all the huge ‘campaign’ about diabetes and sugar, you would probably not want to imagine yourself consuming sugarcane like you may have been used to when you were a kid, that is if you ever did. No, sugarcane is not a kiddies’ candy or dangerous snack if I may put it that way. Sugarcane (juice) on the contrary, can actually be a very nutritious healthful snack or drink if you like. But before I go any further I will like to come back to give you a proper differentiation between sugarcane and cane sugar. First of all, cane sugar is the everyday sugar you use on a daily basis in your tea and drinks, beverages, foods, etc. In other words, cane sugar is sugar derived or extracted from sugarcane; it is therefore a form of refined sugar which means it is devoid of the basic vital natural nutrients it originally came with. Cane sugar in this sense is processed sugar. On the other hand sugarcane is the cane containing raw sugar as it is harvested from the farm. Sugarcane is therefore not refined or processed sugar; it is whole and natural. The sugarcane belongs to the (perennial) grass family and is often described as the most important member of the plant kingdom - with a metabolism leading to the accumulation of sucrose. This sucrose is transported as glucose and fructose within the growing plant, and provides the cheapest source of energy giving food for us all. Today this plant which mostly is of Indian origin is widely cultivated all over the world. India leads the world in sugarcane cultivation, followed by Brazil, Cuba, China, Mexico, Pakistan, USA, South Africa, and Columbia. Sugarcane is as well cultivated in Nigeria especially in the northern part of the country, and it is eaten by so many people usually during the hot weather as a means of quenching thirst. Originally, sugarcane was grown for the purpose of chewing by the Pacific and South-Eastern Asian people as a form of refreshment, and it is important to note that this practice has continued to this day especially in the tropics. This is where the goodness of sugarcane lies. The reasons I want to emphasise while highlighting the remarkable differences between sugarcane and cane sugar is that sugarcane juice is both refreshing and nutritious. The juice comes with about 15 percent natural sugar, which is also rich in organic salts and vitamins such as calcium, phosphorus and iron – it is a complete natural food.